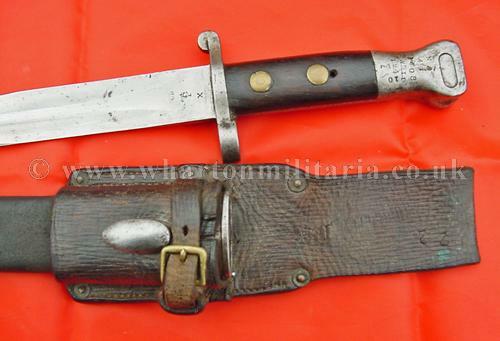 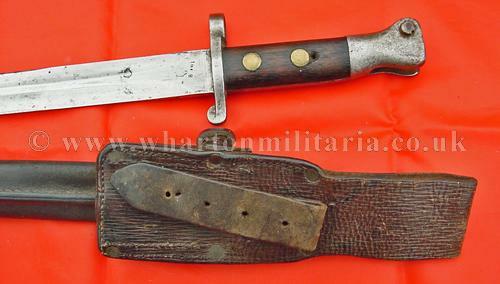 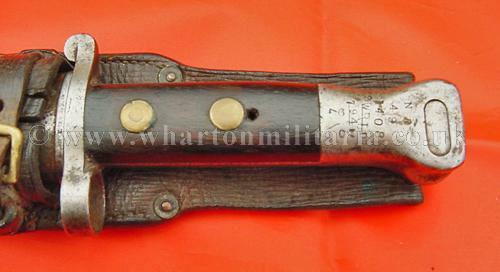 Enfield Lee Metford 1888 Mark 1, Type 2 Bayonet, issued to British and allied forces during the Boer War and WW1. 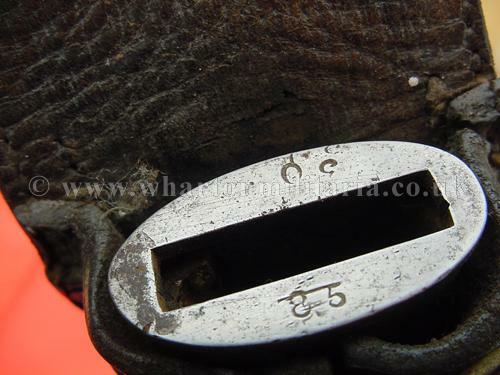 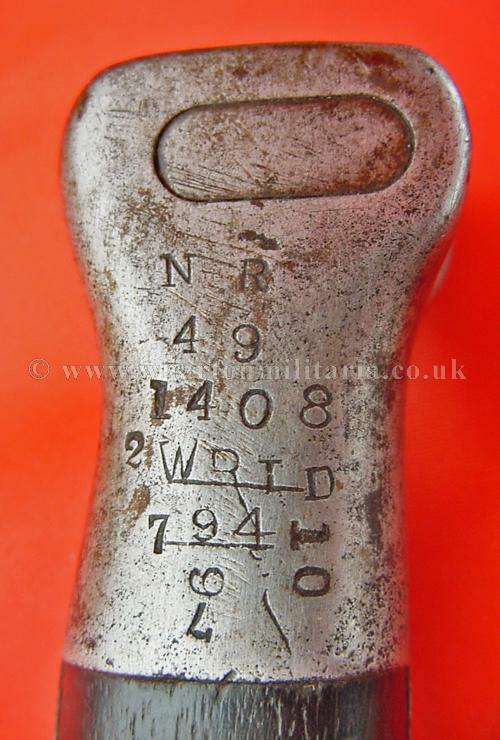 The pommel is well stamped indicating issue and re-issue in its service life, marked 'NR' and ‘49’ with ‘1408’ underneath that, below this is the cancelled mark ‘2WRLD’ and ‘794’ along with other numbered markings. 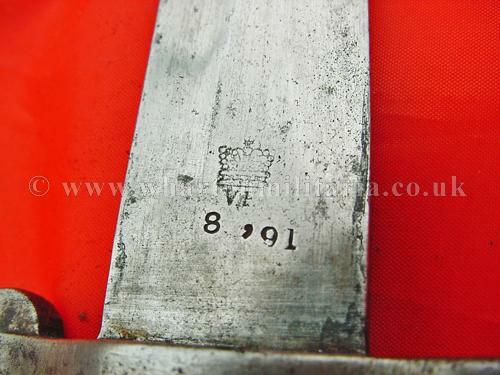 Blade is in excellent condition, double edged with medial ridge running from the ricasso to the blade tip, ricasso of the blade is marked ‘8 91’ below the V.R. 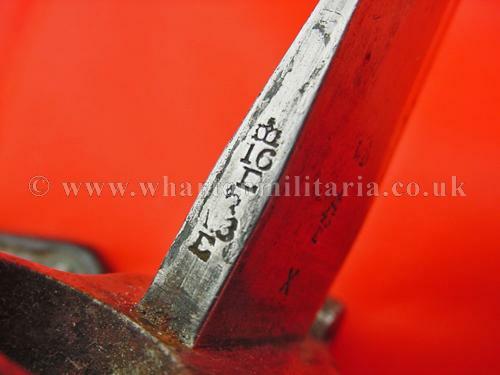 and Crown identifying the bayonet as being manufactured in August 1891. 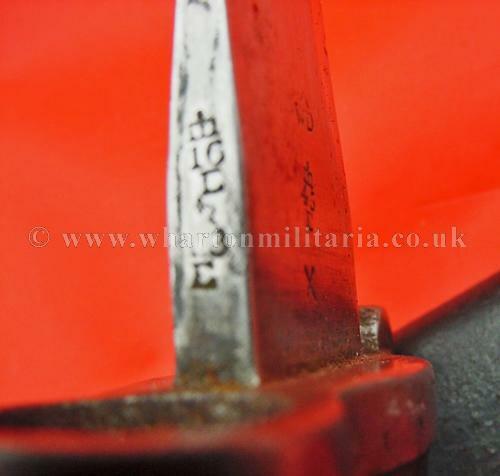 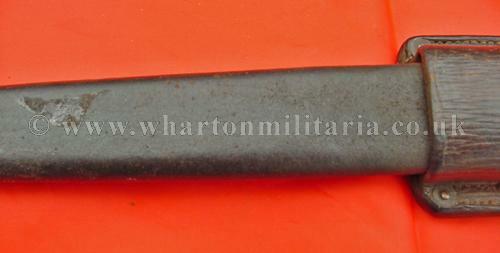 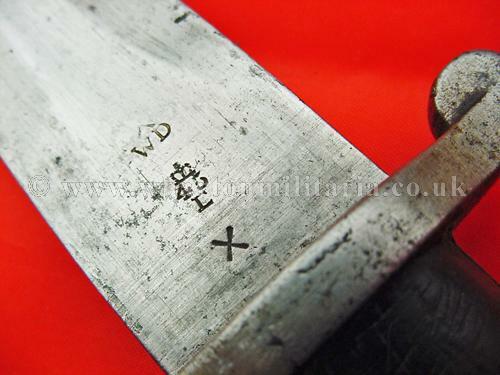 The reverse of the ricasso is stamped with inspection marks and 'WD' and War Department broad arrow. 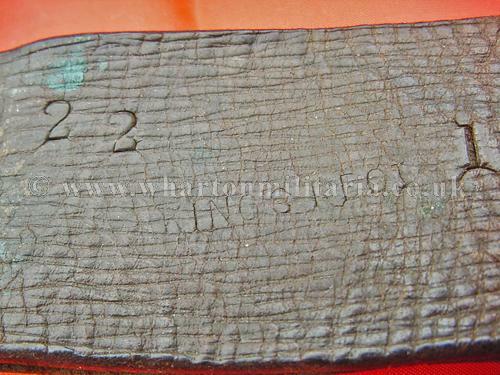 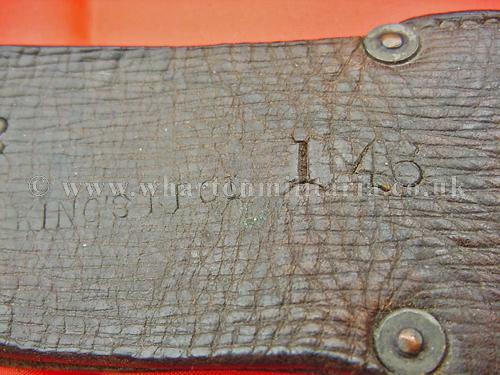 Bayonet comes complete with its black leather scabbard which is marked ‘85’ and ‘30’ on the throat, tear drop frog stud and its leather frog which is also marked 'King's RFOI' and 'I 46' with a frog number of '22'. 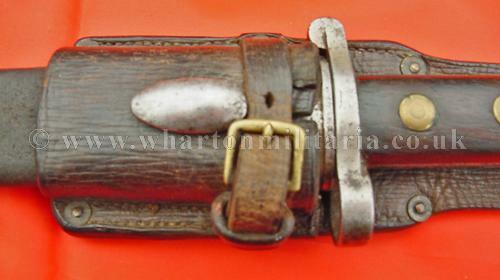 Scabbard and frog are in excellent condition, a very nice presentable bayonet complete with its frog.